I took a trek to Fullerton the other day and I was totally blown away by the style I spotted. There was a lot of simple yet chic outfits – probably, dare I say it – the best style I’ve seen in California so far. The majority of the shots will be in the style column in the OC Register next weekend, but I’ll give you a quick sneak peek! I love baseball tees, especially when you can make them chic. Love this look! She definitely makes me want to give baseball tees a try! Hey! I found your blog through SoCal Blogger Society 🙂 Love the pants! Where are they from? Yay! 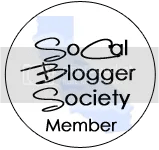 Love SoCal blogger society! The pants were from Urban Outfitters! I love how black booties can go with everything – these ones especially!